What stopped Dwight Howard and Chris Paul from playing together as Dallas Mavericks? LOS ANGELES – Chris Paul didn't want to go to Orlando. Dwight Howard didn't want to go to New Orleans. But Paul and Howard knew this much: A little more than a year ago, they wanted to play together. Never, however, could they agree on a plan that would unite the NBA's best point guard with its best center. Paul and Howard now find themselves in the same city, albeit playing for rival franchises. Howard came to the Lakers this past summer while Paul is beginning his second season with the Clippers. Both are set to become free agents at the end of this season, raising the question of whether they might make one more effort to team up. The answer from both All-Stars: Don't count on it. "We were trying to play together, but it didn't work out," Howard told Yahoo! Sports. Paul and Howard were teammates on Team USA's 2008 Olympic team. They grew close during that time, and so did their families. While watching LeBron James, Dwyane Wade and Chris Bosh form a super team in Miami, Paul and Howard have been talking about joining forces for years. Starting in 2009, Howard and Paul began chatting regularly, trying to figure out a way to play together. Howard tried to convince Paul to join him with the Orlando Magic. Paul responded, one source said, with a question: "What will you be giving up?" While Orlando was relatively close to Paul's hometown of Winston Salem, N.C., and had advanced to the 2009 NBA Finals, Paul preferred Howard join him on the New Orleans Hornets' roster. When neither Howard nor Paul seemed interested in playing for the other's team, they considered looking for a common destination. "I tried to get him to come to New Orleans," Paul told Yahoo! Sports. "It was back and forth, here and there." Sources close to both players said Howard and Paul settled on the Dallas Mavericks as an ideal destination, knowing owner Mark Cuban had the means to clear salary-cap space for them. The Mavericks explored trades for both players, but didn't have attractive enough assets to make a deal. And while Howard and Paul could have become unrestricted free agents in the summer of 2012 by opting out of their contracts, neither exhibited the patience to make such a plan feasible. Paul was all in for joining the Mavericks as a free agent in 2012, but he wanted a commitment Howard also had interest, sources said. Howard, however, remained indecisive about his future in Orlando and wasn't ready to commit to Paul. Frustrated, Paul eventually grew tired of waiting on Howard, gave up on the Dallas plan and asked the Hornets for a trade. After the Clippers acquired Paul prior to the start of last season, Paul opted into the final year of his contract for the 2012-13 season, postponing his free agency by a year. Howard then surprised everyone in March when he agreed to sign a waiver for the Magic, opting into his contract for the 2012-13 season and also delaying his free agency. "We always wanted to play together," Howard said of Paul. "It didn't happen that way." Howard eventually grew dissatisfied enough with the Magic to again push for a trade, but joining Paul with the Clippers was never a priority for him. Howard didn't think he and Clippers forward Blake Griffin would play well together, sources said, and he was far more interested in joining Deron Williams for the Nets' move to Brooklyn. Williams, much like Paul, grew tired of a trade for Howard to materialize, and so the Nets instead acquired Joe Johnson to successfully convince Williams to stay. The Magic did have trade conversations with the Clippers about Howard this offseason, but the Lakers became his preferred destination after Brooklyn was no longer an option. Paul's and Howard's families remain close; the players' parents even went to lunch together this week in Los Angeles. But Paul said he hasn't talked to Howard since Howard was dealt to the Lakers. 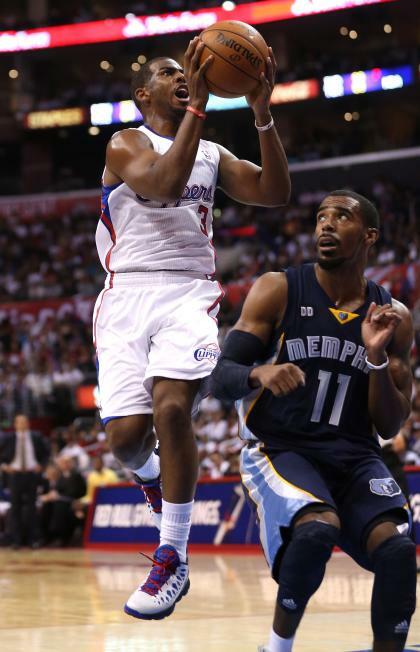 One source said Paul is still frustrated by Howard's indecision in their efforts to become teammates. "I'm pretty sure he's busy with family and all that stuff," Howard said. "I've been busy. We'll have time. We'll be here for the long haul." Said Paul: "I know that they got stuff going on and we got stuff going on." 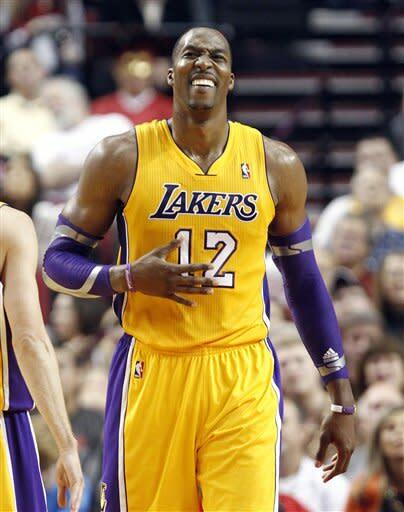 Howard loves living in Los Angeles and has enjoyed his brief time with the Lakers, despite their early struggles. Barring a change of heart, he's expected to re-sign with the Lakers after the season. Paul also has enjoyed living in Los Angeles and likes how the Clippers have remade their roster, so, he, too, is strongly leaning toward re-signing. That doesn't mean the Mavericks and Howard's hometown Atlanta Hawks won't make a run at both players this coming summer. Both the Mavs and Hawks will have significant salary-cap space to make the All-Star pairing finally happen. And yet after years of trying to play together, both Howard and Paul no longer envision such a scenario happening. "He's on the other side," Paul said. "I don't worry about that."